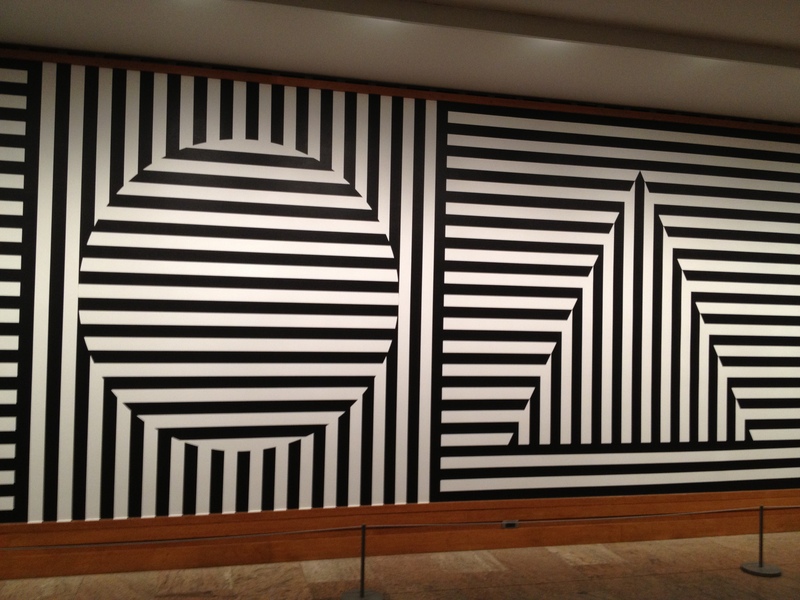 Sol LeWitt’s ” Wall Drawing #370″ is currently on display in a long corridor on the first floor of the museum. The directions for”Wall Drawing #370″ are: “Ten Geometric Figures (including right triangle cross X, diamond) with three-inch parallel bands of lines in two directions”. 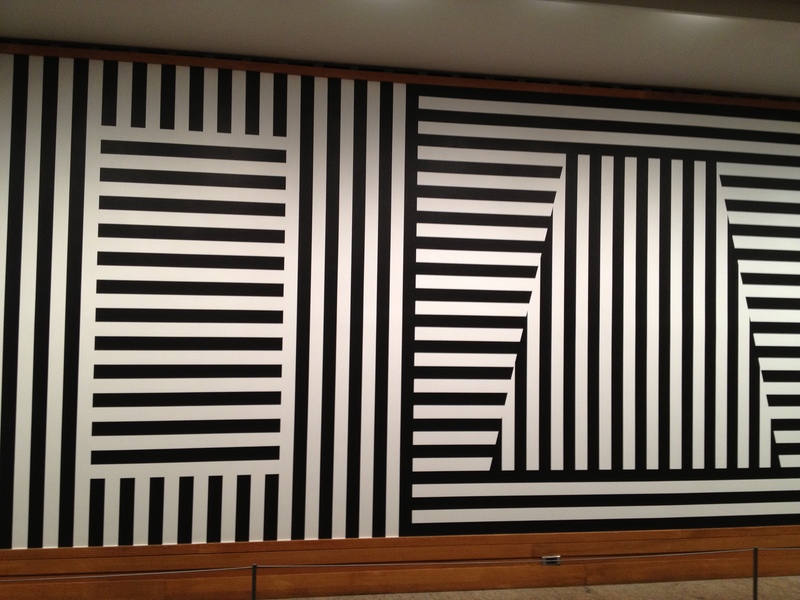 LeWitt wrote the conceptual plan for these drawings in 1968. Each of the ten panels feature alternating black and white lines that run either vertically or horizontally. The shapes depicted, however, feature curves and non-right angles, and lines that cross do so in a perpendicular fashion. Each shape also has some type of symmetry either reflective or rotational. 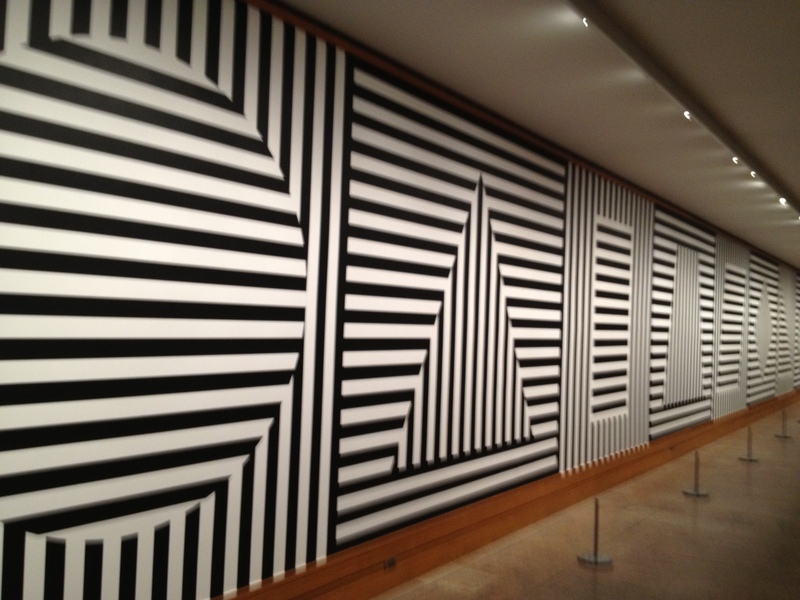 I have always been a huge fan of Sol Lewitt’s Wall Drawings. Besides the obvious geometric mathematical elements to the work LeWitts underlying conceptual process shares theoretical similarities with Mathematical Algorithms. I feel there is definitely a relationship between Sol LeWitt’s description of Conceptual Art and the way that mathematical algorithms perform, I also see a connection in this early work of LeWitt and the birth of the computer age….. But I will leave that for another blog. If you are going to be in NYC anytime in the next 14 months, go see the Wall Drawings at the Metropolitan. They are powerful and graceful and up until January 3, 2016!